Altoids, the "curiously strong" mints, have long been an American favorite. 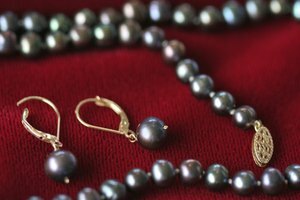 The brand has changed hands from company to company after its creation in the 18th century, but has continued to grow in popularity. Altoids, famous for their packaging as well as their flavor, are now one of the most well-known mints in America. 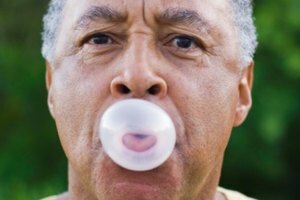 Altoids were not originally created to cure bad breath. In fact, they were designed to help lessen stomach aches and intestinal discomfort. Smith Kendon, founder of a London company, came up with the lozenge recipe in 1781. Smith and Company was taken over by the company Callard and Bowser, a popular confectionary company, in the mid-1800s. Altoids did not become popular in America until 1918, over a century after their introduction in Europe. The lozenges were marketed as "curiously strong" and claimed to help rid poisons in the stomach. This was linked to the large amount of peppermint oil included in the Altoid recipe. Shortly thereafter, consumers began turning to Altoids as mints rather than as a stomach aide. 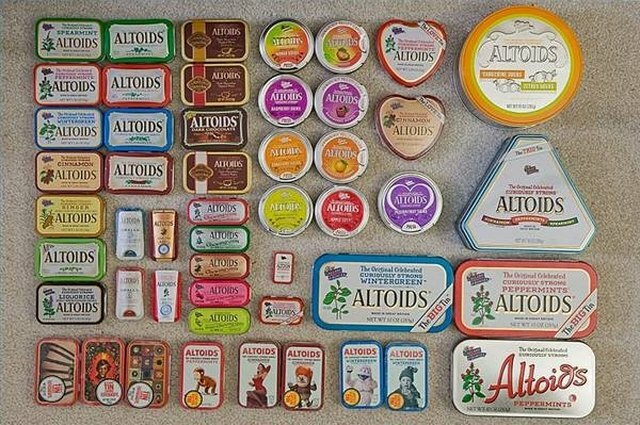 Starting in the 1920s, Altoids were sold in metal tins rather than the cardboard box they had previously been sold in. This added to the peppermint's charm. Altoids changed hands over the years, beginning with Callard and Bowser and ending with Wrigley. The company Callard and Bowser was sold to Terry's of York in 1982 and was later taken over by Kraft/Phillip Morris in 1993. 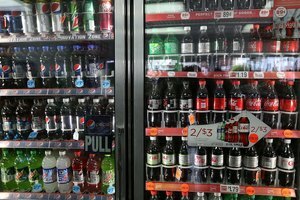 Wrigley of Chicago bought the Callard and Bowser brand from Kraft for almost $1.5 billion in 2004. Wrigley has since been added to the Mars company, which was formed in 1932. 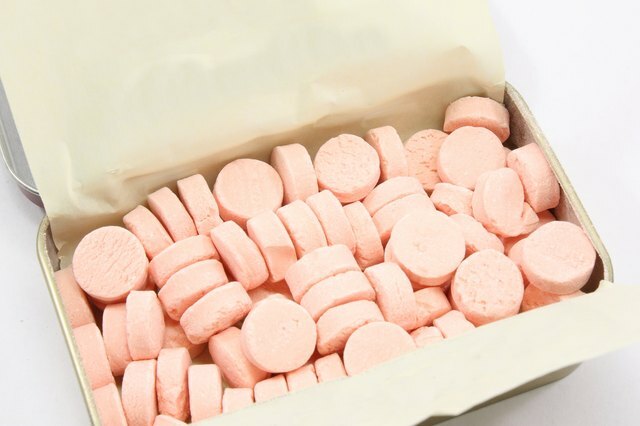 Altoids mints can now be found in various flavors -- and also as gum and sours. The first variety, Wintergreen, was introduced in 1997. Since then Spearmint, Cinnamon, Creme de Menthe, Dark Chocolate Cinnamon and Dark Chocolate Creme de Menthe have been added to the popular mint brand. Sugar free varieties and "smalls" are available now as well. The chewing gum version of Altoids was introduced in 2003 and now includes Peppermint, Spearmint, Cinnamon, Wintergreen as well as Sour Cherry and Sour Apple. Hard candies were introduced in 2002 and include the flavors of Sour Apple, Raspberry, Mango and Passion Fruit, and they are sold in a tin like their predecessors. Altoids are now the number one mint in America. Consumers prefer the tin over other packaging types because they are kept clean and are easy to dispense. Sales continue to rise for the "curiously strong" mints. A rare downside to the tin containers is they can leave dust on fingers which can easily be passed on to clothes. Altoids manufacturing was moved to Chattanooga, Tennessee from Wales as their American sales grew larger than their sales in Europe. Anne-Harris Jones has a degree in baking and pastry from the Art Institute of Atlanta and also a B.A. in English with a concentration in professional writing and rhetoric from Elon University. She loves to bake and loves to write. She has written for Examiner.com as a Baking Examiner as well as Demand Studios.